Money App Review: Scam or Legitimate Way To Earn Money On Your Phone? Money App is an app available in the App Store and Google Play Store. I recently came across this app and new that I needed to write a review because of the 30,000 5 star reviews! Let me first say that there’s nothing special about the Money App other than a few ways to earn and Paypal payments, but it’s not worth that many 5 star reviews. If you’re looking to make money on your phone, I recommend these apps over the Money App. If you’re looking to make a large income online, Money App and other extra income sites aren’t for you. Check out My #1 Recommendation for making a large online income. I made over $13,000 last month online! In this Money App Review, I’ll cover how to earn, how to get paid, my complaints, and see if it’s a legitimate way to earn or a complete scam. In this Money App Review, I marked them legitimate, but it’s 100% not as good as 30,000 5 star reviews. 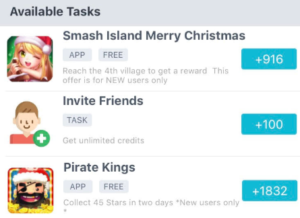 The app simply pays you to download apps and reach certain levels in the games that you download. Which is nothing new or special, there’re several apps like this and can be a fun way to make a few extra bucks in your spare time. Overall, the app is decent, but I feel like there’re better ways to make money on your phone. The main way to earn with the Money App is downloading apps. Most of the apps are games, but some are just apps that you can get paid to download. If the app is a game, most of the time you’ll have to download the app and reach a certain level of the app to get paid. Each app will show the name, the requirements, and how much it pays. All you need to do is download the app and meet the requirements to get paid. Depending on your location you may be able to earn by doing tasks near you. These usually include visiting a store and answering questions about a certain part of the store. These are location based and do require you to be at the location to complete. The last way to earn is by referring your friends. You’ll earn 100 coins for every friend that you refer that completes at least two offers! How Does Money App Pay? The only method of payment is PayPal. 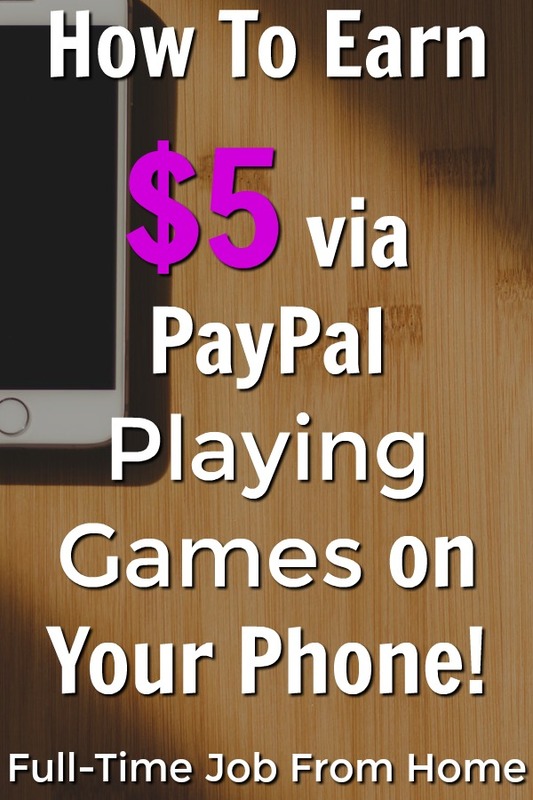 Once you earn 5,000 coins, you can exchange them for a $5 payment via PayPal. Their FAQs state that once you cash out, you’ll get paid within three days. As soon as you join Money App, you can earn 100 coins just by leaving a 5-star review. If you take a closer look, there’re tons of 5 stars with comments like “just joined” or “going good so far.” Meaning that most of the positive feedback has been from people that haven’t even really used or been paid by the app yet. My favorite way to get paid is PayPal, but I know some people either don’t like it or don’t have PayPal accounts. Either way, the Money App only pays via PayPal, so if you don’t have an account, you can’t use this app and get paid. The Money App is not going to make you rich; it’s a small income that you can get paid for downloading apps and playing games. If you’re looking for a large income, you’ll want to check out how I made over $13,000/Mo online. Is the Money App a Scam? Money App is not a scam, it’s a legitimate way to earn extra money on your phone download apps, but it’s not going to make you rich and shouldn’t have a 5-star rating in either app store. 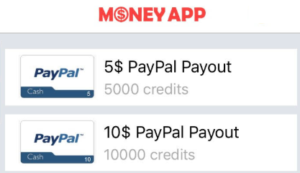 With that being said you can earn and will get paid via PayPal if you take the time to earn 5,000 credits. I personally prefer other apps to make money, if you’re looking to get paid to download apps and play games I prefer FeaturePoints. But, if you’re interested in making money on your phone, the Money app is a legitimate option that you can download. Have you used the Money App? I’d love to hear your thoughts in the comments below! Yahoo Play App Review: Scam or Legitimate Way To Get Paid To Play Trivia? Dabbl App Review: Scam or Legitimate Way To Earn Money?